The Dutch government and the municipality have opted for an organic (or adaptive) approach because it makes it possible to respond flexibly to new insights and future challenges. In 2011, the Ministry of Defence decided to vacate the Marine Etablissement Amsterdam, a process that began in 2015. In 2013, the Dutch government and the municipality of Amsterdam drew up a strategy document to define a common framework for the development of the Marineterrein area. The corresponding administrative agreement was signed in December 2013. In the administrative agreement,The Dutch government (as current owner of the Marineterrein) and the municipality of Amsterdam (as the intended buyer) have made clear agreements on the ambition, the assignment to Bureau Marineterrein Amsterdam (as project bureau), the temporary letting of vacant buildings, the completion of the first projects, and the development method. 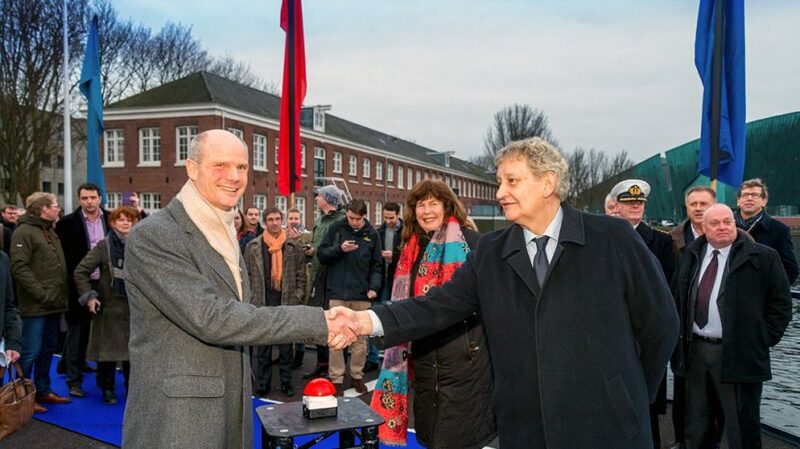 In January 2015, the Voorwerf was transferred to the Central Government Real Estate Agency and the gradual redevelopment of the Marineterrein officially began. The Marineterrein will be developed progressively and experimentally. This means research will be carried out to determine which activities will make the biggest contribution to the defined goals. The companies and organizations located at the Marineterrein must therefore demonstrate their ability to innovate and their willingness to share knowledge. This is a different approach than traditional zoning plans, which have clear results in mind. The Dutch government and the municipality have opted for this organic (or adaptive) approach because it makes it possible to respond flexibly to new insights and future challenges. Bureau Marineterrein Amsterdam is responsible for initiating and supervising the temporary developments on behalf of the Dutch government and the municipality of Amsterdam. The local and national governments will jointly decide on the final development of the area. Read more about this proces here. The most frequently-asked questions about what’s happening now, and what’s happening next at Marineterrein Amsterdam have been collated and answered here.